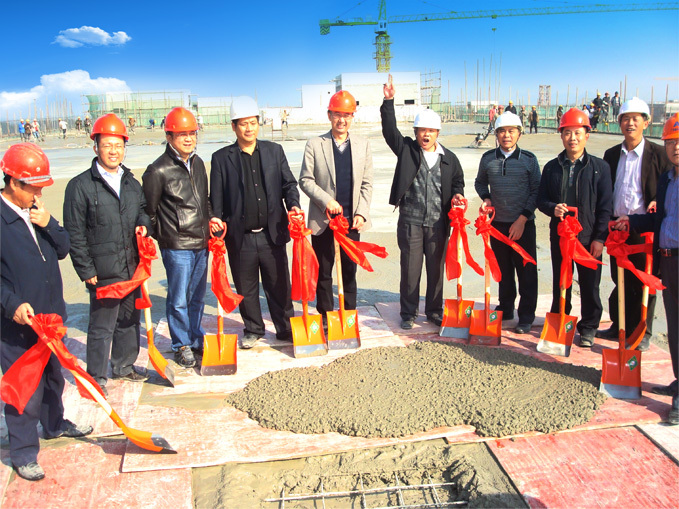 KTC new panel display project (first-stage) that located in Huinan High-tech industrial park sealed the top successfully on Jan. 9, 2013. 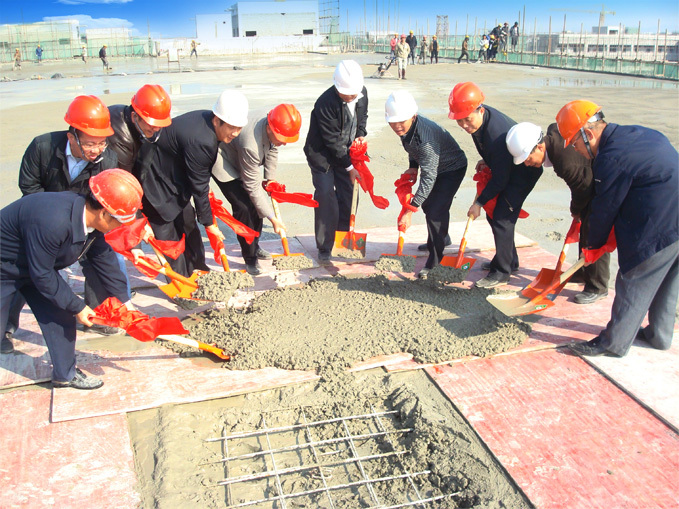 President Ling Bin, vice-president Lin Yubin, general manager Ling Feng and Ling Huizheng, and relevant leaders and members of Huizhou Constructional Engineering Controlling Company and Guangdong Jianke Construction Administration and Management Ltd. Company participated in the ceremony. KTC new panel display project (first-stage) started from Jul. 8, 2012. 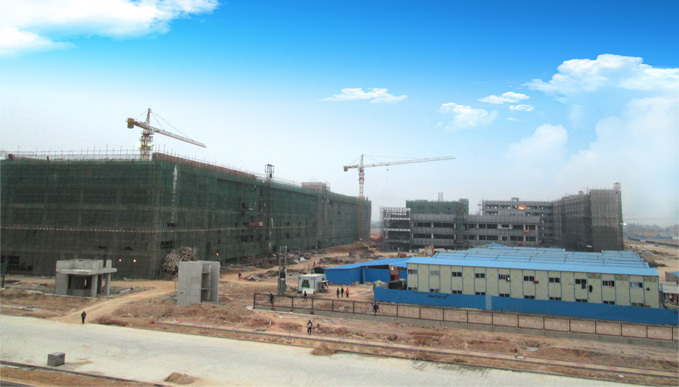 This is a relatively large scale project with a total construction area of 156179.72㎡, including 9 new buildings. Among these, 5 of them are factory buildings, 3 are dormitory buildings and 1 mess hall. Leaders of KTC paid high attention to this construction. We overcame a variety of difficulties, together with construction administration and management company and huizhou constructional engineering controlling company to finished 156000㎡ main work construction in half a year with quality and quantity guaranteed. At the ceremony, leaders gave full approval to all staffs. They encouraged them to keep on working hard and lay a good foundation for the next stage project. The staffs said they will spare no efforts to fight for the completion of this project. It is reported that KTC new panel display project will put into production in July, 2013. At that time, KTC’s production capacity will be enhanced greatly which will lay a solid foundation for rapid development in the future.